Jeff Spicoli was the quintessential Cali stoner, introduced to the world with board shorts and the soon-to-be-iconic checkerboard Vans slip-ons via 1982's Fast Times at Ridgemont High. 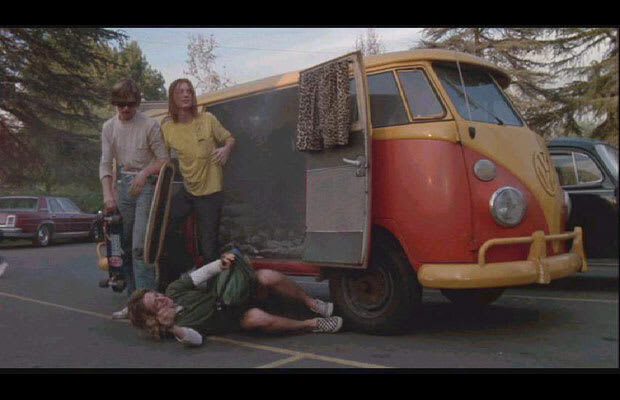 And in between bong hits and infuriating Mr. Hand, Spicoli did more to push Vans to the general shoe-buying public than an entire decade's worth of ads. "All I need are some tasty waves, a cool buzz, and I'm fine." Us too, Jeff, us too.